KLEZ Car , our proud partner of Drive.MY! 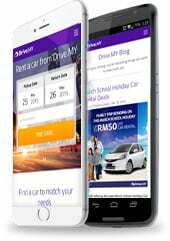 Klezcar is a fastest growing brand car rental service in Kuala Lumpur (KL), Malaysia, consist of 53 branches with 5 respective state in Malaysia, servicing 900++ various fleet of car, ranging from cheapest car rental to luxury budget car rental and big bike rental such motor harley davidson for daily and monthly rental basis. We can be reach out by calling our hotline number at 1 300 88 4040. We provide car rental services with variety of car hire fleets from compact car, sedan, mpv and pickup cars. We aim to serve you better as our tagline “Why Dreaming?Rent It”.